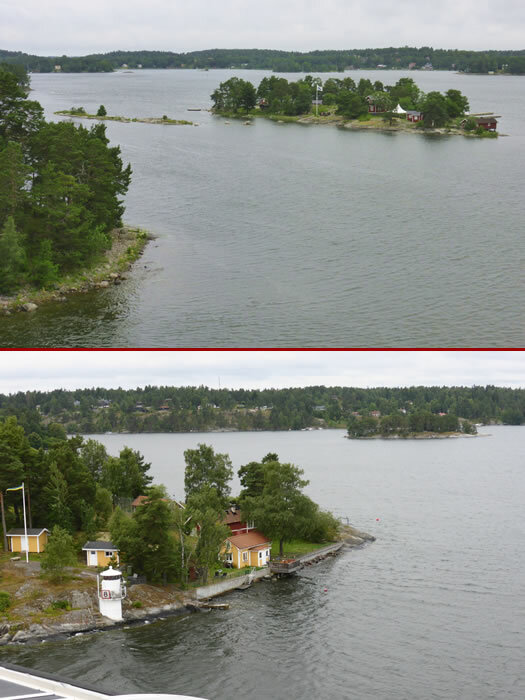 We wind our way through the Stockholm Archipelago which has well over 20000 islands in it. Houses dot the shores of many of these islands. We pass the municipality of Värmdö in the middle of Stockholm Archipelago.